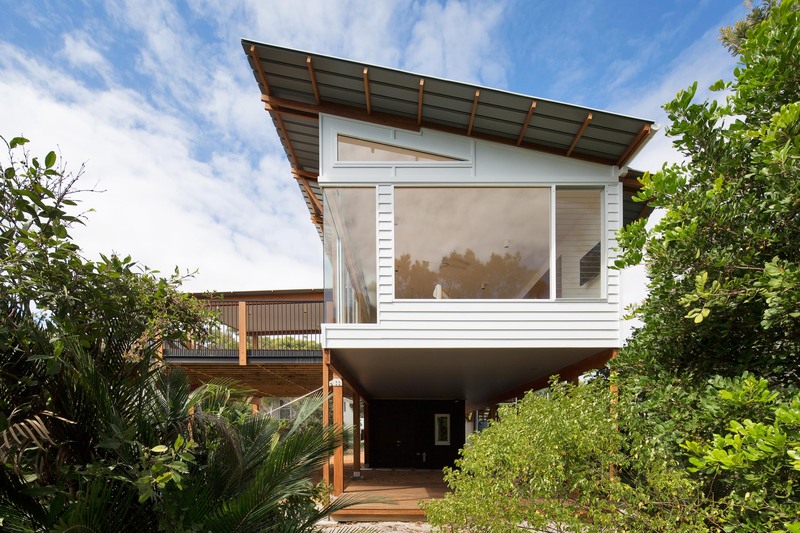 macmasters beach house involves a modern take on a traditional typology, the beach house. the traditional beach house conjures imagery of light and airy spaces, a seamless connection to nature and a hassle-free lifestyle. 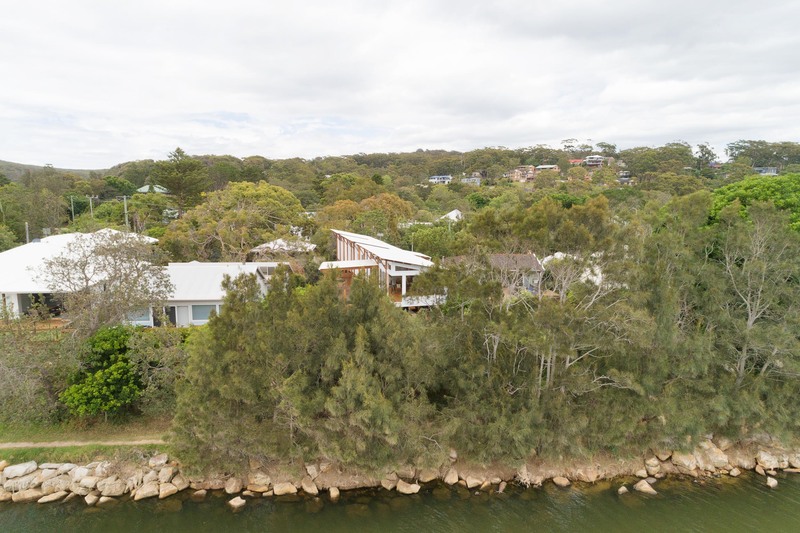 macmasters beach house involved 3 clients co-owning the property and has been held in the family for over 50 years. the decision was made to completely remove the aged cottage and start anew. the site is gently nestled against cockrone lagoon to the north, buffered by a narrow reserve containing mature native trees. located within 200m of the breaking surf of macmasters beach, the predictable micro-climates of the eastern australian coastline apply, typically providing ocean breezes from the north east in summer. the brief was simple, replace the existing beach cottage, keeping the current use and users and to celebrate the spectacular location. our response was to elevate all habitable rooms to the upper floor, effectively capturing the breeze and optimising the outlook. 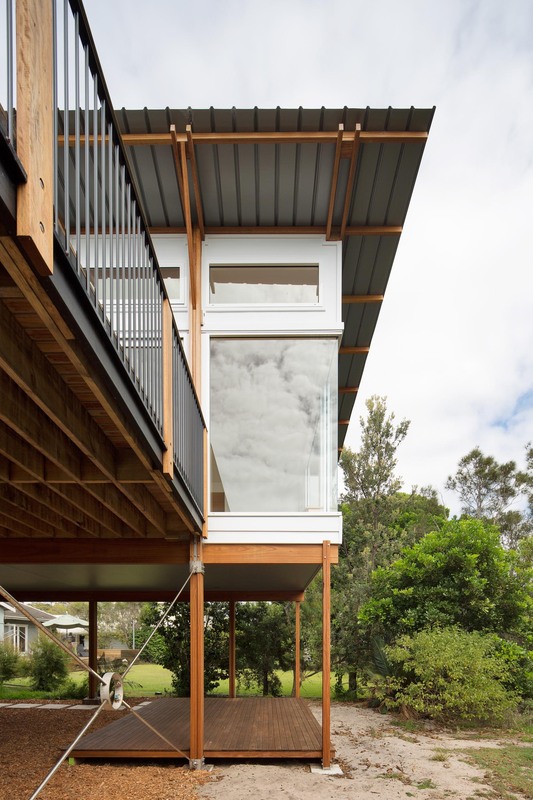 this physically separates the home from the rawness of the beach, the lake and surrounding vegetation, while simultaneously enhancing the connection to the outdoors. 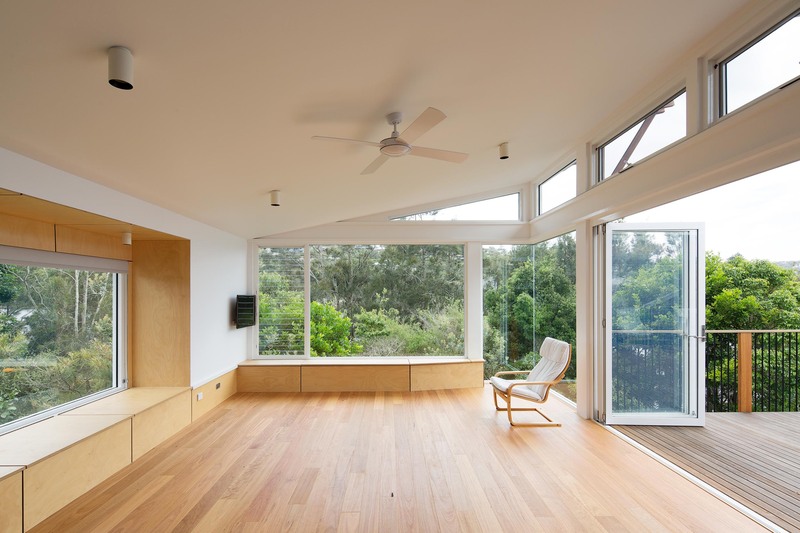 the design incorporated simple passive design principals. 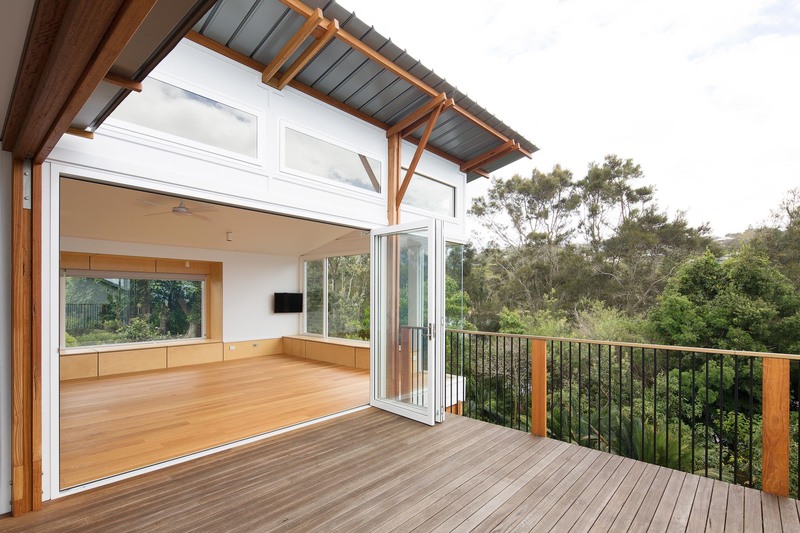 ceilings follow the roof line and rise up to operable glazing, which can be opened to respond to the climate. hot air rises to the ceiling and leaves the building through louvre or awning, while drawing cooler air in to replace it. 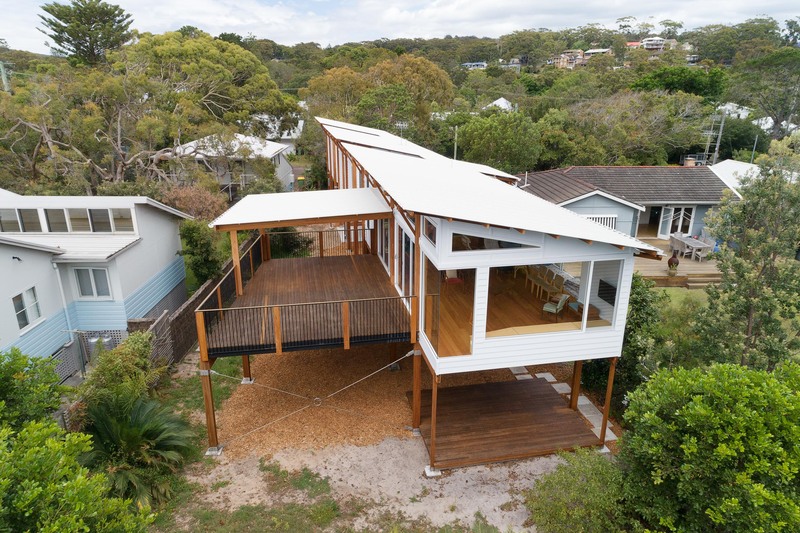 the eaves are oversized on the north, east and west, the skillion roof drops low to the west to reduce the effect of the harsh afternoon summer sun. the layout itself follows a reassuringly simple program. 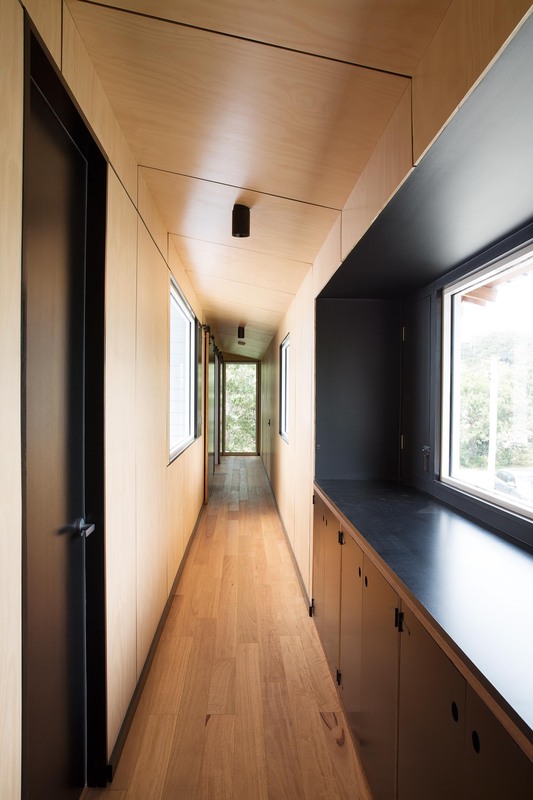 the floor plan is one room deep with a naturally ventilated hallway running along the western wall. the rectilinear shape has been separated by 2 courtyards that form 3 different zones; the social living area, the adult’s bedrooms and the children’s bedrooms. the courtyards provide outlook while maintaining privacy, and allow cross ventilation through operable glazing, with dual aspect rooms. a natural material palette was implemented throughout. 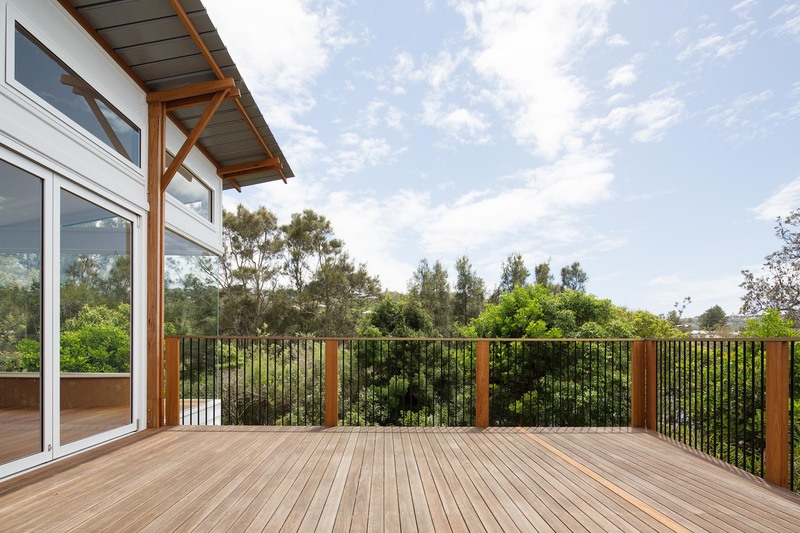 exposed timber blackbutt is used extensively throughout the project as structural timber, engineered boards and solid timber joinery. 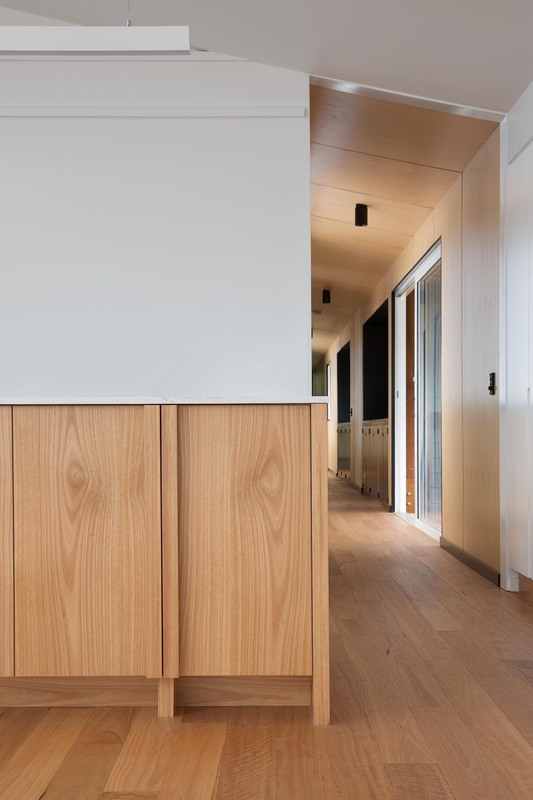 blackbutt was chosen for its sustainable characteristics, it is locally grown, fast growing, is naturally termite resistant, and not susceptible to lyctus borers. 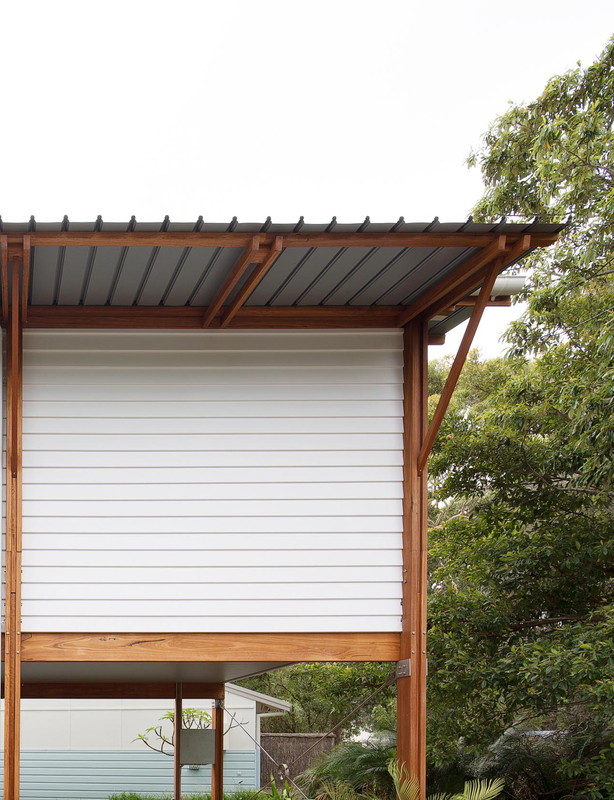 the use of natural materials, a levitated structure and the passively designed layout have resulted in a home that sits harmoniously within its pristine setting and is beloved by its users.